The AR polymer magazine market is crowded. As I stated before, the top-dog player is Magpul, with their industry-defining PMAG. Now in it’s 3rd generation, the PMAG is ubiquitous. You can pick up a 30-rounder for about $10-$12 from most online outlets, including Lucky Gunner, whom I’m affiliated with. Other brands that have come along include Hexmag, Lancer, Promag, and the latest entrant, Daniel Defense. Known for their top-tier rifle offerings, Daniel Defense has also been getting into the accessories game. Stocks, back-up sights, rail systems, and now, magazines. Yes, it’s a crowded market out there, but “DD” has decided to make a go at this critical piece of kit. Well, if you break down that question, you’ll understand how critical that function is. The ammo doesn’t feed, the gun doesn’t fire, right? So, when you are evaluating magazines, whether it be for a pistol, shotgun (yes, there are magazine-fed shotguns), or a rifle, you want to know that it’ll feed your ammunition into your gun reliably and consistently. If the feeding action of the spring is off by a few hundredths of an inch, or the follower (the plastic bit the ammunition sits on in the magazine) tilts ever so slightly, your firearm will malfunction, sometimes spectacularly. Feed failures, double-feeds (two cartridges try to get into the chamber simultaneously), and other issues can happen with a poor-quality magazine. Magazine manufacturers strive not to be the weak link in the firearms equation. Thus, Daniel Defense had their work cut out for them. They had to enter a crowded market of quality magazines, and also engineer a magazine that lives up to their brand name, while also figuring out how to differentiate it from the competition. At first glance, the DD Magazine is just Daniel Defense’s answer to the PMAG. Polymer construction, enhanced anti-tilt follower, textured grip-friendly surface, and so on. However, there are differences that set it apart. The most notable difference, is in capacity. The DD Magazine clocks in at 32 rounds, 2 more than most standard-capacity AR magazines out there. The kicker is that DD managed to cram 32 rounds into the space of a 30 round magazine with no claimed loss in reliability. 32 is more than 30. It “goes to 11”, as they say. 2 rounds could be a lifesaver in a self-defense situation. Also, many law enforcement departments, including our very own Florida Fish & Wildlife police, have policies which demand all rifle magazines be downloaded by 2 rounds. So, your 30-round magazine can only be filled with 28 rounds. With the DD magazine, you get the full 30, or 31 if you have one in the chamber. Some departments mandate this since in the days before ultra-reliable magazines, a fully-loaded magazine would not feed properly from the first round, causing critical issues. I’ve experienced this myself with lower-quality magazines. You fit 30, but the first round simply won’t feed properly. DD also hawks the extra-rough grip surface and carbon-fiber-reinforced structure as selling points. A snazzy bright yellow follower rounds out the distinct feature set of this magazine. I’m not a professional doorkicker, as my small readership knows. I shoot for recreation and also to train for various self-defense situations. Regardless, I want reliable gear. There may be a time where I have to pick up my rifle in a non-range situation, after all. The DD Magazine piqued my interest, with it’s +2 capacity and the backing of the legendary Daniel Defense brand. I went down to my local gun shop, Johnson Firearms, and picked one up for around $20 all in. The first thing I noticed was the texture. PMAGs have a bit of a texture, but compared to the DD Magazine, they are smooth. The DD Magazine’s texture is impressive. Even with a sweaty bare hand, you won’t lose your grip on this magazine during a mag change. Also worth noting is stated compatibility. Most AR-pattern magazines only state compatibility with 5.56mm/.223 caliber ammunition, with other AR-friendly calibers, such as 6.8mm SPC and 300 BLK, being loaded at the risk of the user. DD came out of the gate stating full compatibility with 300 BLK. The popularity of 300 BLK has surged in recent years, and DD knows this. Compatibility is hit or miss with some magazines, but the DD Magazine was engineered from the ground-up to be 300 BLK friendly. 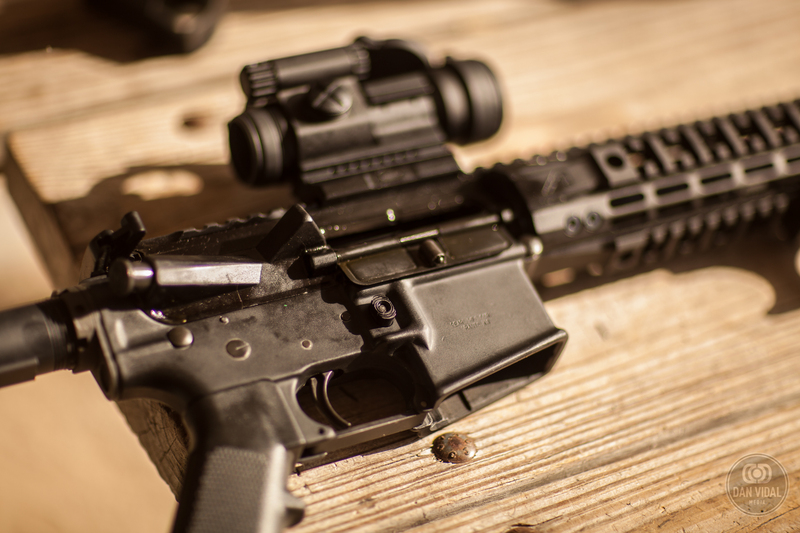 Loading it up with 5.56, and 300 BLK, proved effortless. With some lesser-quality magazines, 300 BLK can be a chore to load, but not on the DD Magazine. Loading it into my ARs proved inconsequential as well. It loaded, and fed, as any decent mag should, and stayed in place with no wobble. I drop-tested it repeatedly, both empty and full, onto a tile floor. No issues. The DD Magazine is solid. Obviously, it’s one thing to sit at home and load/unload a magazine, and put it in and out of your rifles. 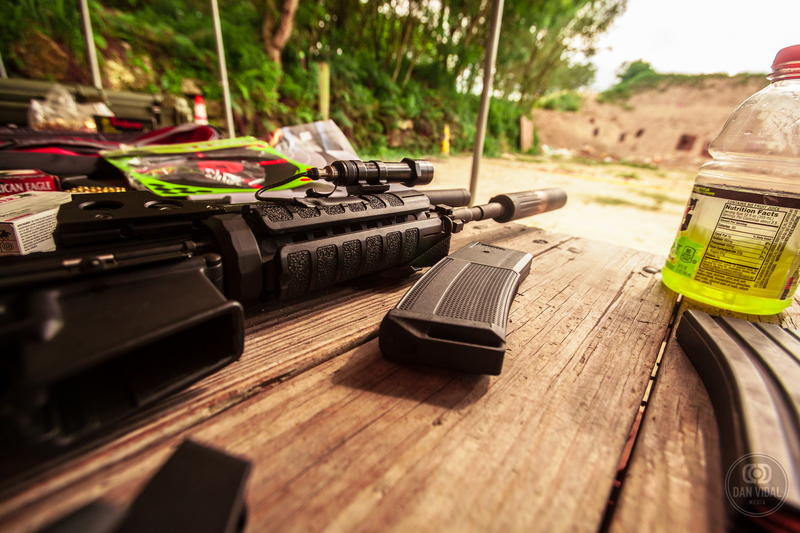 The real test is at the range. For the range test, I arranged the assistance of a friend of mine, who legally possesses an M16 lower. Yes, select-fire fun was called for this test. If a magazine can’t feed it’s capacity reliably in full-auto, it’s probably not reliable at all. Abuse was called for, so we drove down south to Henry’s Range in Homestead. Henry’s is a no-frills outdoor range off the beaten path in the Everglades, which proved more than adequate for our testing purposes. Our informal protocol was simple. I’d test the DD Magazine out with my self-built 300 BLK AR, and he’d test with his M16 lower with 5.56mm ammunition. Since my 300 BLK can only shoot semi-auto, I went first. Plus, this would also be my first outing with my recently-repaired Silencerco Specwar suppressor, so I really wanted to get to it. I loaded up the DD Magazine with 32 rounds of Remington 220 grain 300 BLK Subsonic and got to work. All 32 rounds fed perfectly. No failures or issues. I replicated my first run with 32 rounds of MAST (Black Gun Insdustries) 147 grain supersonic FMJ, 3 more times, for a grand total of 96 rounds. No issues. Load and make ready presented no issues, at all. Now, for the select-fire torture test. We loaded up the DD Magazine with 32 rounds of XM193 5.56mm ammunition. And then we proceeded to place the magazine into my friend’s M16 lower. Thud. It’s not going in the magazine well. Thud. Still no luck. An M16 is an AR with full-auto features. It should accept an AR-compatible magazine. His USGI aluminum mags went in and out fine, but no luck with the DD Magazine. My friend’s M16 lower was made sometime in the late 1970s. Due to the Hughes Act of 1986, civilians like ourselves can only possess machine guns made before May 19th, 1986. Which limits the supply, and drives up the cost considerably. Your average transferrable M16 these days costs $20,000 or more. At the time his was made though, the only magazines available for AR-pattern rifles were aluminum USGI magazines. Cranked out by the millions, USGI magazines were made by innumerable manufacturers to fulfill government contracts, hence “US Government Issue” - USGI. Polymer didn’t come into fashion until the 21st century. However, the walls of these magazines were thinner, and thus there was more “play” available. His M16 lower, built to spec, didn’t readily accept a modern magazine. To verify, we tried a PMAG in his lower as well. Same issue. It did not readily go in. The spec for an AR/M16 lower hasn’t changed since the 1960s. On paper, that is. The tolerances are “x” and always have been. However, rifle manufacturers can deviate from the spec as long as the lower still accepts and holds USGI magazines. My theory is that my newer (2015) vintage lower was definitely built with PMAGs and “fatter” magazines in mind. His 1970s machine gun, not so much. Sidebar: you can get your lower milled out a little to accommodate newer magazines. However, we weren’t going to let a little “fat” stop us from doing some mag dumps. After a some effort, we managed to cram the DD Magazine in. Once in, it seated properly, and charging the firearm proved effortless. But man, was it in there! So, we ran some magazine dumps. Flawless. No issues, even with a full load of 32 rounds. The DD Magazine emptied in mere seconds, reliably, each time. Of course, extraction of the magazine took some effort. It was quite comical to see the two of us tugging on a $20 magazine, trying to get it out of a $20,000 machine gun. Tactical as f–k, no. However, I do imagine if you are in the business of kicking down doors, and you are issued a select-fire M4 or M16, the magazine well is built to modern tolerances and the DD Magazine will most likely fit fine. Daniel Defense does do some military contracts, and I’m sure they tested their magazine with a modern machine gun, available to them via the virtue of being a manufacturer. In other words, don’t take our monkeying around with a 40-year old machine gun magwell as gospel. 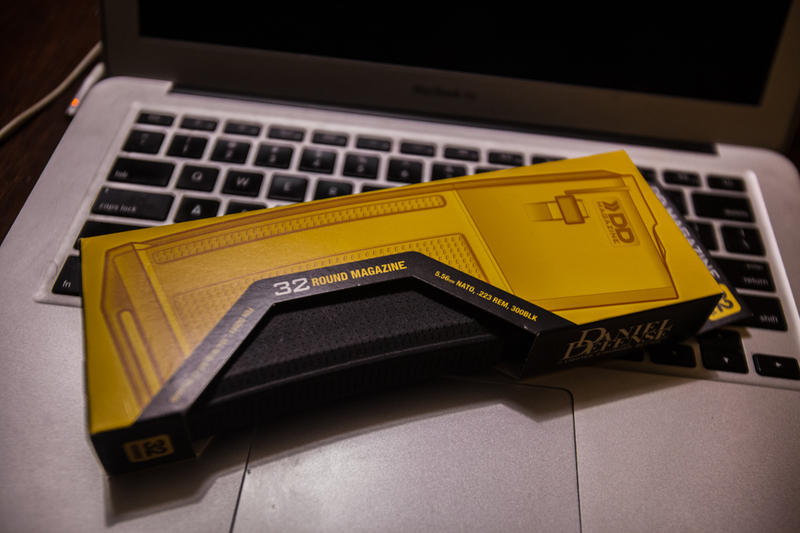 The grippy-as-hell surface did help with extracting the magazine though. The DD Magazine is robust, reliable, and nigh-indestructable. The +2 capacity differentiates it from the other market offerings, and the super-grippy texture ensures you won’t fumble with magazine changes. Toss it around, beat it up. It can take a licking. However, if you are one of the fortunate few to have a pre-86 select-fire AR-pattern rifle, be aware that your magwell might be too tight for it, as well as PMAGs. You might want to get it milled out a bit. At nearly twice the cost of a PMAG ($20 vs $11), the additional cost can be a burden if purchasing en masse, but I wouldn’t let it stop me. If I can afford the gun and the ammo, I can afford a quality accessory like the DD Magazine. 5 out of 5 - I could have deducted a little for the issue with older lowers, but that isn’t a situation likely to come up for a Regular Guy. And, if it is, you can probably afford to have your magwell tweaked. The DD Magazine is available now via Daniel Defense and most major online firearms retailers. 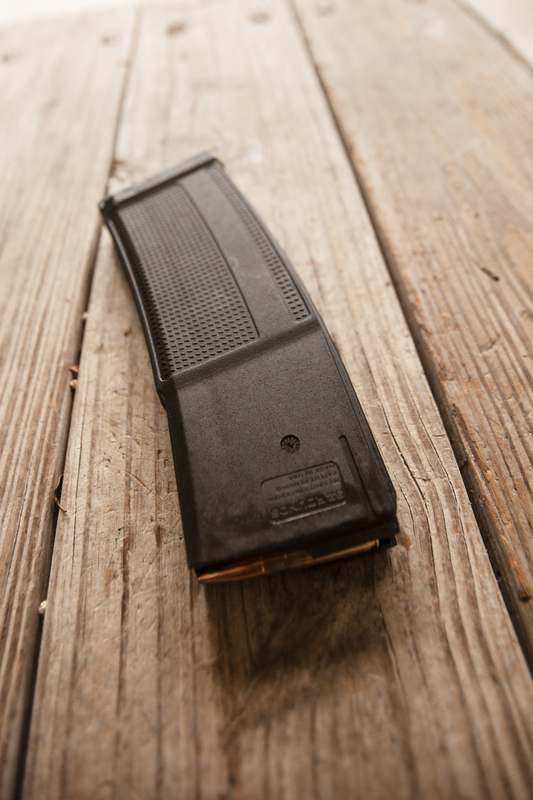 As it is a 32-round magazine, it cannot be shipped to California, Colorado, Connecticut, Hawaii, Maryland, Massachusetts, New York, New Jersey and Washington DC, as those states think magazine restrictions somehow reduce crime. I suspect they have unicorn ranches as well. DD Magazine at Daniel Defense.